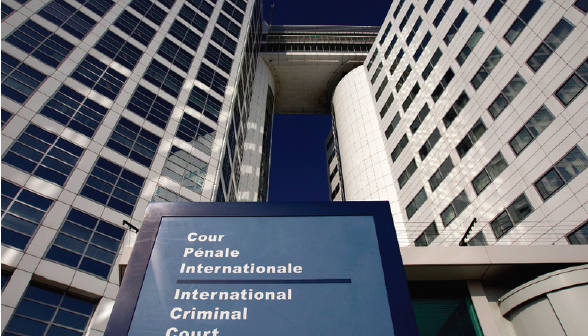 Who’s Afraid of the International Criminal Court? Apparently, his speech was in reaction to the news that the International Criminal Court’s (ICC) Pre-Trial Chamber would soon decide whether or not to investigate suspected war crimes in Afghanistan. Bolton’s anger toward the court is ideological. He has an anarchic view of the international arena, and sees international legal restrictions as infringing on American sovereignty. He is especially angered by the fact that the ICC is, in theory, able to investigate and charge American citizens with war crimes, despite the fact that America “unsigned” itself from being party to the court’s founding treaty, the Rome Statute. The ICC was always going to present moral conundrums. It was set up with the aim of prosecuting the most extreme war crimes and crimes against humanity. It is supposed to level the playing field in places where civilians have fallen prey to a predatory state that would purposely deny them justice, or when the state cannot deliver justice on its own. 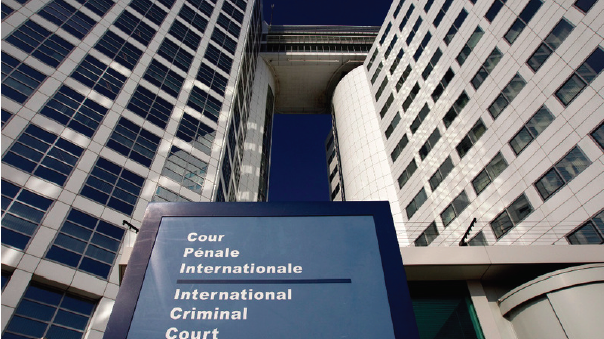 States can request the ICC to investigate crimes in their territory on their behalf. The United Nations Security Council can authorise an ICC investigation. Or, the ICC can begin an investigation itself, so long as the Chief Prosecutor and a team of judges in the Pre-Trial Chamber both authorise it. Before they do this, they need to have robust evidence that war crimes, genocide or crimes against humanity were likely committed. And they need evidence that justice has still not been properly served by the countries in question. What’s interesting about Bolton’s speech is that he makes the ICC out to be an unstoppable, unconstrained power, and a serious threat to American servicemen, who might be arbitrarily prosecuted at any moment for doing their jobs. He said that the ICC paves the way for anti-American “political trials”. Not all Bolton’s points about the ICC are overblown. He rails against American citizens being subject to a judiciary that neither they nor their government elected to be a part of – a legitimate line of moral argument. However, to imply that the ICC can subvert American interests or foreign policy is a huge overstatement of the court’s capabilities. Bolton’s suggestion that the ICC could pursue a “political trial” against the United States as and when it liked is also clearly false. One can make many criticisms of the ICC, but it cannot be said that they take decisions lightly. For context, the preliminary investigation into Afghanistan has gone on for over a decade. This is not an official investigation – it is the groundwork to determine whether or not there is enough evidence of relevant crimes, and a lack of alternative justice, to merit starting an investigation. And the nature of the ICC’s work means that they can expect political backlash every time they open a new case. To put it another way, unless there was practically watertight evidence that at least some individuals had committed war crimes, it is highly unlikely that the ICC would risk investigating. 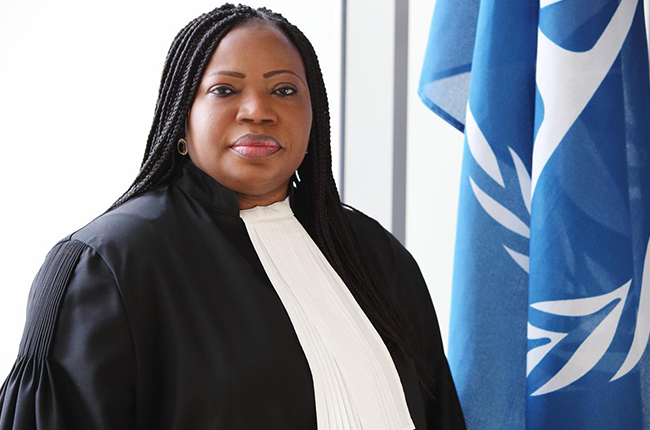 Hence came a November 2017 announcement from ICC Chief Prosecutor Fatou Bensouda that there was a “reasonable basis to believe war crimes and crimes against humanity were committed in Afghanistan and that all sides in the conflict would be examined including members of the US armed forces and Central Intelligence Agency”. 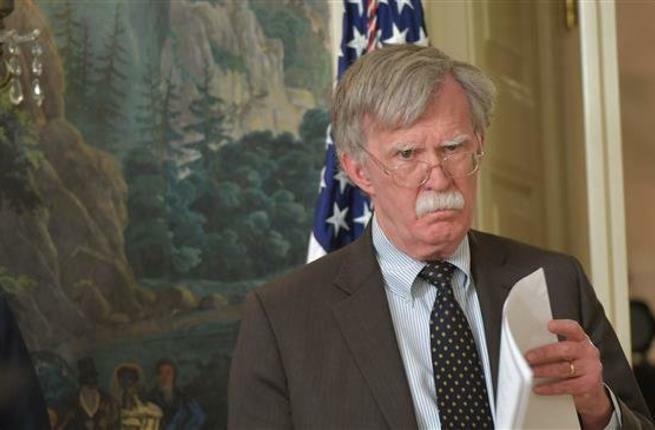 It is the anticipation of this announcement that seems to have prompted Bolton’s diatribe, along with the extraordinary threats to sanction the ICC and subject its staff to American criminal justice. The question is whether these threats will deter an investigation into Afghanistan. It is rather unlikely that Bolton’s threats will make much difference, for it would do the ICC far more harm than good to be seen to acquiesce to his threats. The ICC’s dilemma is that it has to be seen to go after the powerful to be credible, and so succeed in deterring future war crimes. But the powerful are very determined to prevent the ICC doing just that. One of the most hypocritical moments of Bolton’s speech was when he repeated the criticism that the ICC’s focus has overwhelmingly been on Africa. It is perfectly, and troublingly true that ten out of eleven of the ICC’s current investigations are in Africa, and this prompted plenty of skepticism that the court was indeed – as Bolton put it – “…just the latest European neocolonial enterprise to infringe upon their sovereign rights”. The court’s excessive focus on Africa is legitimate criticism, but Bolton – a pathological advocate of American military intervention abroad – is hardly a credible defender of other nations’ sovereignty. Least not when, in the same speech, he mockingly included the Democratic Republic of the Congo as one of the nations that could have a say over the ICC’s influence in American affairs. But more to the point, Bolton has been one of the most active figures in preventing the ICC expanding its remit beyond Africa. The grim reason that the ICC’s open caseload is so Africa-focused is because that is where it encounters the least resistance from major global powers. But – justifiably – this has dented the court’s claim to impartiality. The only way it can win back that claim is by opening a case closer to the heart of the powers on the UN Security Council. Investigating war crimes in Afghanistan – including alleged abuse of Afghan detainees by American forces – would silence the court’s doubters. 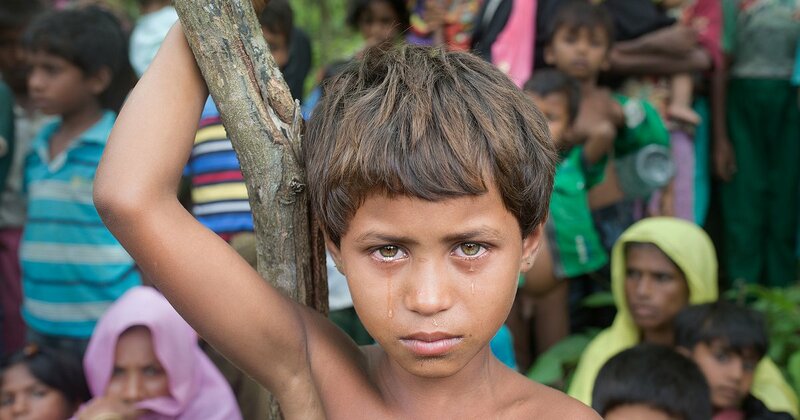 The ICC wants to be feared by those who might commit the worst of war’s crimes. Up until now, it’s been seriously lacking that credibility. John Bolton just gave it to them. Almost two years after first announcing its intention to withdraw from the International Criminal Court (ICC), it remains unclear whether South Africa will exit the Rome Statute system. Last December, Justice Minister Michael Masutha told a meeting of ICC member-states that the country was forging ahead with withdrawal. A few weeks ago, however, Minister of International Relations and Cooperation Lindiwe Sisulu insisted that no final decision had been made. In the meantime, Jacob Zuma has been replaced by Cyril Ramaphosa as South African President. The issue at hand is whether parliament will pass legislation that could open the doors for the executive to eventually withdraw the country from the Rome Statute of the ICC. There is, however, more than just a sliver of hope that South Africa could find a graceful exit from any plan to withdraw from the Court. At a recent event held by the Africa Group for Justice and Accountability and organised by the Wayamo Foundation in Cape Town, Minister Masutha stated that the International Crimes Bill – the first required for an ICC withdrawal – would soon be debated in Parliament. Critically, he stressed that parliamentarians would take into account developments relevant to South Africa’s concerns with the Court. Masutha was specifically referring to two issues relating to the question of head of state immunity before the ICC: first, ongoing proceedings at the Court over Jordan’s 2017 decision to host Sudanese President Omar al-Bashir, who has been indicted by the ICC on charges of war crimes, crimes against humanity and genocide in Darfur; and, second, the decision by the African Union to seek an advisory opinion from the International Court of Justice (ICJ) on the status of head of state immunity under international law. These yet-to-be-resolved developments are important because they are likely to address the key concerns that South Africa has with the ICC. According to proponents of withdrawal in Pretoria, South Africa cannot remain a member of the Court because it creates conflicting obligations for the government, between, on the one hand, fulfilling its duties under the Rome Statute and surrendering the likes of Bashir to the ICC; and on the other, meeting its obligations to fellow governments and international organisations such as the African Union to protect head of state immunity. This quandary, South Africa insists, makes it impossible to play mediator and peacemaker during negotiations to end violent political conflicts. This leads to numerous questions: Why would South Africa rush towards an ICC exit before its core concerns are resolved? Why not wait until there is greater clarity and perhaps even compromise on the issue of head of state immunity before throwing in the towel, exiting the ICC, and therefore having no say in the Court’s future development? Given a confluence of factors, including Ramaphosa’s internationalist credentials, a dissipated sense of urgency to withdraw from the ICC among African states, and a belief that the Court and its proponents are genuinely listening to African criticisms of the ICC, some believe that South Africa will remain a member of the Court. What isn’t clear is how it will do so. 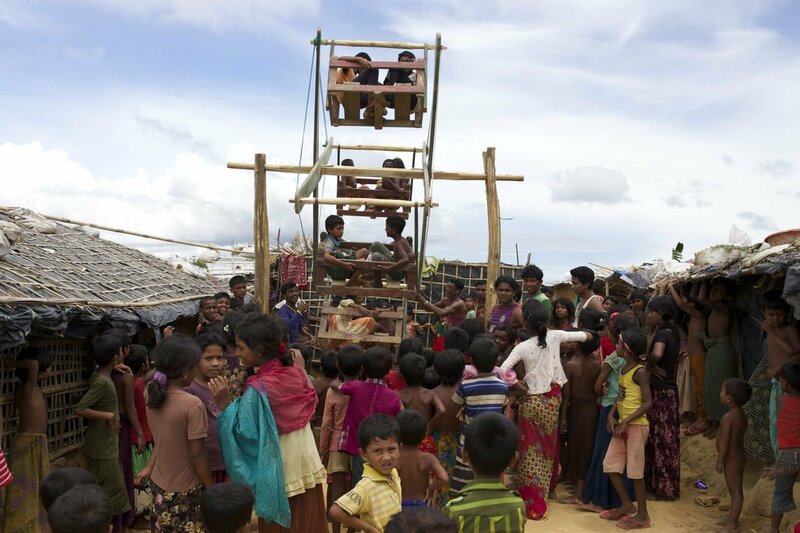 Ideally, the government would renounce its plans to end its membership in the ICC outright. But we recognise that finding a graceful exit – and saving face – is politically important for any government or political party. As proposed in a previous article, the government could save face by allowing a free vote in parliament on the International Crimes Bill, whilst publicly encouraging parliamentarians to vote it down and support membership in the ICC. This would help guarantee a powerful, emphatic, and democratic decision in favour of ICC membership. Another possibility would be to declare that, until the Jordan proceedings are concluded and an ICJ advisory opinion on head of state immunity is issued, any withdrawal plans should be put on hold. Such a moratorium would help to buy time for the South African government to work productively to improve and reform the ICC from within, alongside other African and interested states. It would also promote the creation of space for increased and constructive dialogue between critics and proponents of the Court. Sometimes taking a breather is all it takes for cooler heads to prevail. Should the government put a moratorium on any move to withdraw from the ICC, it would likely result in the current International Crimes Bill being put on hold. While it is preferable for the government to declare its support and commitment to the Court, this would at least preserve South Africa’s membership until a new parliament is in place following next year’s polls. The elections would be a fruitful place to renew a conversation between parties and within communities about South Africa’s trajectory as a global leader in international relations and global justice. The very heart of South Africa’s concerns with the ICC – the status of head of state immunity under international law – is being debated, and will continue to be debated, at the highest levels and in the highest courts. While the government has spelled out its reasons for ICC withdrawal, not being heard or taken seriously cannot be among them. Navi Pillay is the former UN High Commissioner for Human Rights and a member of the Africa Group for Justice and Accountability. Richard Goldstone is a retired Constitutional Court judge and a member of the Africa Group for Justice and Accountability. Mark Kersten is the Deputy Director of the Wayamo Foundation and a fellow and lecturer at the Munk School of Global Affairs, University of Toronto. A Canadian man accused of providing financial support to his Edmonton cousins who joined ISIS is appealing his extradition order to the United States to face terrorism charges. Abdullahi Ahmed Abdullahi, 33, was committed for extradition by Court of Queen’s Bench Justice John Little on May 31. He has since filed a notice of appeal through his lawyer. No date has been set for the case to go before a panel of three justices with the Court of Appeal of Alberta. Abdullahi’s appeal comes as a group of legal and human rights experts convene next month to review and propose reforms to the Extradition Act, which critics say provides little protection to Canadian citizens sought by foreign governments. The conference is being organized by Robert Currie, a professor of law at Dalhousie University in Nova Scotia, and a long-time critic of the extradition process in Canada, where high extradition rates plus a high-profile case involving Ottawa professor Hassan Diab have spurred calls for reform. Over the past decade, about 90 per cent of the people who were arrested for extradition in Canada were surrendered. 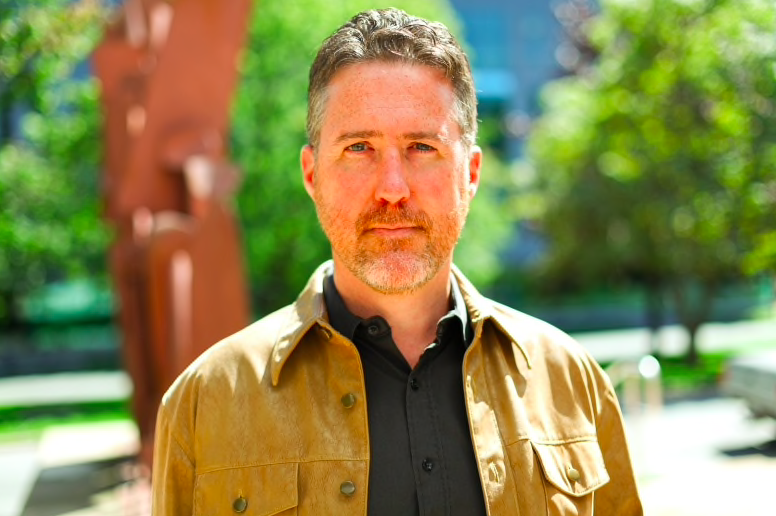 Professor Robert Currie is fighting to reform Canada’s extradition laws. In the notice of appeal filed June 27, Abdullahi’s defence lawyer Akram Attia cited four grounds where he said the Queen’s Bench justice “erred in law” related to the Record of the Case (ROC), which summarizes the U.S. government’s evidence. Under the Extradition Act, the evidence itself — such as witnesses or records — is not required during an extradition committal hearing. A foreign prosecutor only needs to certify that it will be available at the time of trial. The justice’s role is not to determine guilt or innocence but only whether the alleged conduct, had it occurred in Canada, would justify going to trial. But Attia argued the justice erroneously concluded that all the evidence was admissible, “not manifestly unreliable” and “not deliberately vague.” He said Little made a mistake when he ruled a jury would have all the evidence it needed to find Abdullahi guilty. Attia argued that much of the witness evidence relied on hearsay, or even “double hearsay,” from people who later travelled to Syria and died. “Obviously, the evidence of deceased persons is not available for trial,” he wrote. 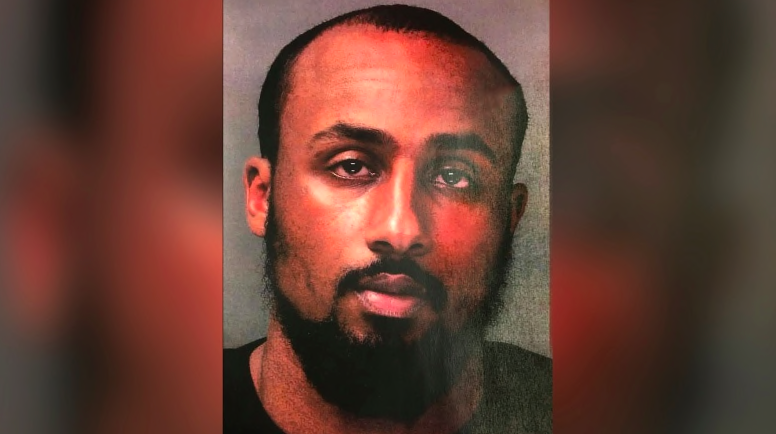 In March 2017, a grand jury in the Southern District of California indicted Abdullahi on conspiring to provide and providing material support to ISIS recruits in the U.S. and Turkey between August 2013 and November 2014. Abdullahi has been in custody since his arrest in Fort McMurray in September 2017. Foreign fighters named in the indictment include three of Abdullahi’s cousins — Mahad Hirsi and brothers Hamsa and Hersi Kariye. The trio left Edmonton for Syria in November 2013, where it’s believed they were killed in an airstrike the following year, along with another cousin from Minneapolis. During the hearing in May, Crown prosecutors Stacey Dej and Kanchana Fernando presented the ROC on behalf of an assistant U.S. attorney from San Diego, where Abdullahi and the Kariye brothers once lived before moving to Edmonton sometime around 2009. Abdullahi is accused of robbing an Edmonton jewelry store in January 2014 to help fund relatives and friends, including the late Douglas McCain, a friend who left San Diego for Syria two months later. In May, court heard McCain’s widow would testify that her husband told her Abdullahi sent him $3,000 (US) via Western Union. The ROC document said records also exist showing money transfers from Abdullahi to his cousins in the U.S. and Turkey, followed by the purchase of airline tickets. Another witness — a younger cousin and former alleged co-conspirator from Minneapolis — identified Abdullahi as one of the robbery suspects in surveillance video, prosecutors said. A preliminary hearing on charges of theft is scheduled to begin in Edmonton on Aug. 9. There are also allegedly records of draft emails written by the group in a common account to communicate, in code using sports analogies and nicknames, about battles and logistics. Court heard the two witnesses would decode and identify emails from Abdullahi, who went by the name Phish, and that he allegedly informed the group of money transfers and difficulties pawning off the jewelry. But in his May submission, Attia argued the evidence did not establish whether Abdullahi had “knowingly” facilitated terrorist activity, although the judge disagreed. Attia said the ability of the witnesses to decode the draft emails and identify the anonymous authors was not reliable either. His submission cited a key 2006 decision known as Ferras where the Supreme Court ruled that a judge was constitutionally required to meaningfully evaluate whether the requesting country’s case justified extradition. In 1999, Jean Chretien’s Liberal government overhauled Canada’s Extradition Act that had been in place since 1877. Currie said prior to that, the process was inefficient, slow-moving and a requesting state had to assemble the evidence and present its case. But changes that have made it easier for states seeking extradition have made it “nearly inevitable,” said Currie. Currie said it’s important that dangerous criminals are extradited to be tried in a timely manner. But the right balance is needed to uphold the rights of Canadian citizens, he added. Last month, Justice Minister Jody Wilson-Raybould asked the former deputy attorney general of Ontario, Murray Segal, to conduct an external review of the extradition of Diab, following calls for reform after the professor’s extradition to France for a 1980 bombing. Diab was kept in near-solitary confinement for more three years but never charged. French judges dropped his case due to lack of evidence. His lawyer said Diab plans to boycott the review because the scope is too narrow. While Segal was not asked to review Canada’s extradition laws overall, a federal government spokesperson said the government is open to feedback. “The government remains open to hearing from Canadians on ways to improve our justice system, including extradition,” wrote Ian McLeod, a spokesperson with the justice department. He said Wilson-Raybould’s deadline to decide on surrendering Abdullahi for extradition is Nov.15.